You may have come across the term ‘elevator pitch’ recently during your job search. Basically, this term refers to the brief sixty-second speech that people use to describe the product or service they offer to others. And while this speech may not be part of your regular discourse, it must be delivered in a very concise and compelling way, and have the necessary attracting points that will entice the interests of employers around you. For all job seekers, it is important to learn how to create a compelling elevator speech. In order to do so, you must be familiar with the idea of professional branding and the concept of enhancing your brand to promote yourself as well as your career. More often than not, personal branding through a properly drafted elevator speech will allow you to create a good image for yourself which you can use for a successful job search. This will allow you to differentiate yourself from other applicants who may be vying for the same position. You must understand that good personal branding will play an important part in your elevator pitch. This will serve as a mini presentation of what you can do to get over the all too common phrases like “what can you do for us” and “tell us about yourself”. 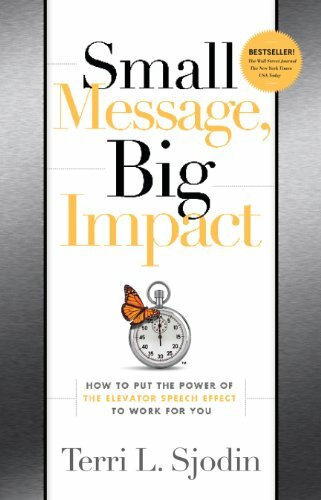 An effective elevator pitch is capable of conveying to your audience that you are a professional, and this must be done in such a way that your speech will not only address your unique selling points but the concerns of your listener as well. What is my main objective for my job search and what is my job target? Who are the persons I am planning to talk to about hiring me? What are the problems currently faced by my audience? What can I do to help them solve it? What are the characteristics I have that sets me apart from other applicants? What are benefits of my work experience which I can bring in to my new work environment? As you create your elevator pitch, try to incorporate all these elements in a short presentation that you can deliver in no more than sixty seconds. Once you assess the correct answers to the above questions, you will have everything you need to create an effective and compelling elevator pitch. Don’t worry too much about being eloquent because a concise and direct speech can help you get the attention you need to secure the job interview you have been waiting for. Candace Davies, Owner of A+ Resumes for Teachers is a Global Career Management Professional dedicated to assisting educators worldwide leverage their strengths, accomplishments, and unique selling points to capture their dream career. Her team has successfully assisted 3500+ education professionals by transforming their talents into concise documents that secure numerous interviews.